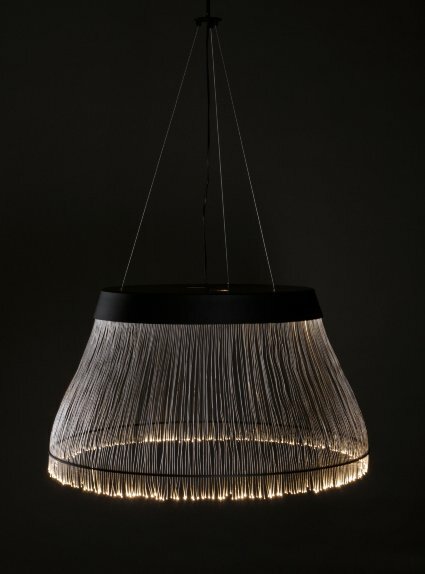 Black Fiber is inspired by the classical lamp shape with an exclusive futuristic touch. 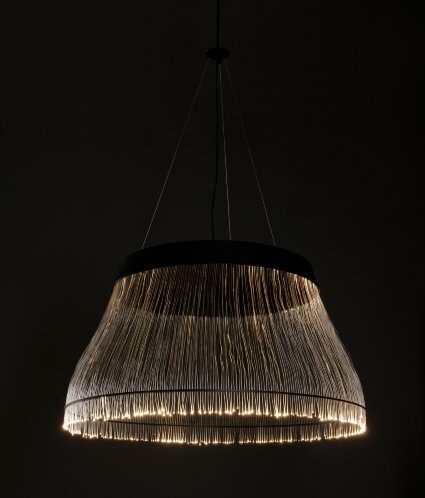 It is made from fiber optics and thus the light in the fibers are the sources of light. The transparent fibers create a sparkling and airy feeling. 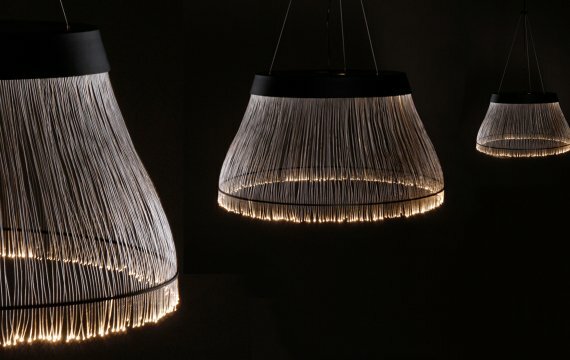 Black Fiber is available with or without a downlight in the centre of lamp shade. Visit the Refer + Staer website – here.